BOYLE considers it an uncompromising standard to bring value to projects we are involved in. We achieve this through a mindset that continuously strives towards excellence. Stringent quality controls and comprehensive reporting is what our clients value, giving them the information needed to make critical decisions. Our in-house testing laboratory assures accuracy and integrity in the results we provide. BOYLE offers in-house aerial data and documentation services using manned and unmanned systems. Pioneering this initiative has helped clients realize immediate insights and proven that a bird’s eye view, with geospatial context combined with ground data, is vital to a successful project. Our whole team strives to continuously develop the relationships with private and public sector clients. BOYLE is a leader in providing insight to the engineering disciplines that aid in solving problems which preserves of our quality of life in the Carolinas. Chuck is the Principal and Owner of BOYLE. Chuck graduated from the United States Military Academy at West Point in 1983 with a General Engineering degree and dual-language concentration in French and Arabic. He served in the U.S. Army/ Army Reserves for 14 years as an Intelligence Officer/ Aviator, and founded Boyle Consulting Engineers in 1995. 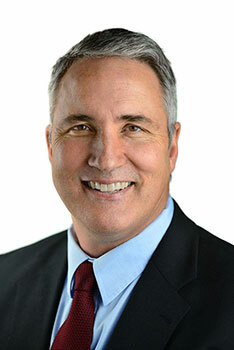 His civilian experience includes 27 years of hazardous waste management, geotechnical engineering, geo-environmental engineering, aerial data collection, applied GIS, applied 3D Computer Vision, and construction materials testing. Chuck is a licensed commercial pilot, licensed to practice engineering in North Carolina as a Professional Engineer, and is also a NC Registered Site Manager (RSM) for cleanup of abandoned hazardous waste sites. 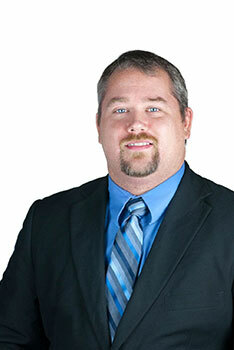 He is certified to perform as the Special Inspector in almost every category defined in the International Building Code. Chuck is professionally affiliated with the American Society of Civil Engineers, the Professional Aerial Photographers Association-International (President), and the North Carolina Airports Association. 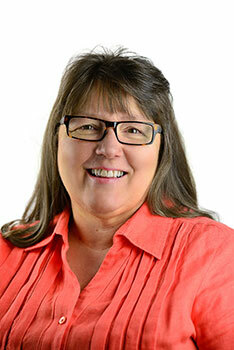 Anne Marie is the Accounts and Office Manager for the BOYLE Managing Principal. She oversees all accounting, human resources and office management functions for the company. Anne has accounting, administrative, management, and marketing experience in a variety of industries including construction affiliated companies. Anne attended East Coast Bible College and was an educator in the private sector for 22 years. 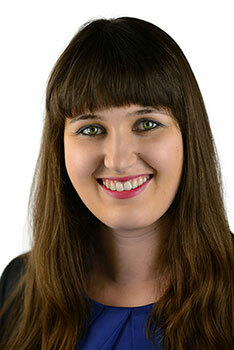 Kristina is the Staff Professional for the CMT Department, providing project administrative support for our clients. She performs Environmental Site Assessments (ESA) and other environmental related testing in coordination with our Principal Engineer. Kristina served in the United States Air Force / Air Force Reserves for 11 years as a Healthcare Administrative Manager. Kristina has excellent customer service skills, attention to detail and the ability to take on an array of responsibilities. She received her Associate in Applied Science in Healthcare Administration in 2012. In 2016, she made a career change earning her Bachelor of Science degree in Environmental Science from the Southern New Hampshire University. Michelle is the Chief Engineer and Manager of BOYLE’s Geotechnical Department. She provides project management and overall technical support for all geotechnical, CMT, laboratory, and Special Inspections projects. Michelle has over 20 years of experience in geotechnical investigations and evaluations, field testing, construction monitoring and construction oversight. She is certified to perform as the Special Inspector in almost every category defined in the International Building Code. Michelle received her Bachelor of Science degree in Maritime Systems Engineering from Texas A&M University and her Masters of Civil Engineering from the University of Houston. She is licensed to practice engineering in the states of Texas, North Carolina and South Carolina. Michelle is professionally affiliated with the American Society of Civil Engineers, Post-Tensioning Institute, American Concrete Institute, and GeoInstitute. Toby is the Manager of BOYLE’s Construction Materials Testing (CMT) Department. He provides customer support, scheduling, project management, and technician support for all CMT and Special Inspections projects. Toby has five years of experience working as a quality assurance technician on multiple industrial, commercial, and residential construction projects. In addition, he has years of customer service experience and ensures that our clients’ needs are fully satisfied efficiently. René is the Geospatial Analyst and Project Manager for all BOYLE aerial photography, aerial mapping, GIS (Geographic Information Systems), and web map services. Her proficiency in six computer programming languages, GIS software/ analytics, and photo-processing software makes her indispensable to serving our clients by delivering state-of-the-art solutions. She earned a Bachelor of Science degree in Geo-informatics, and received her Master of Science in GIS from the University of Redlands; Redlands, California. René is a citizen of South Africa and is fluent in both English and Afrikaans. Ryan is the Manager of BOYLE’s Laboratory Department. His department is directly responsible for all laboratory testing and reporting, data management, equipment maintenance and calibration. He also manages the field equipment/supplies and fleet vehicles for BOYLE’s field technicians. Ryan ensures that all laboratory preparation, testing, and reporting adheres to the stringent ASTM and A2LA guidelines and BOYLE’s quality assurance program. He has over 16 years of management experience, specializing in customer service and quality assurance, in a multitude of environments.